We are offering our esteemed clients an unmatchable Cooling Fan. This range of fans are highly demanded in various industrial applications for AC/DC instruments and appliances. Offered products are made in strict compliance with the international quality standards to ensure their longer working life and reliability. 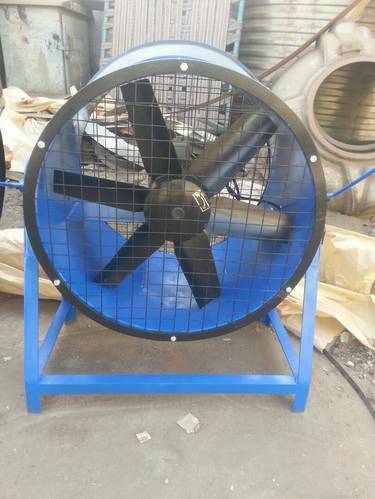 Furthermore, these fans can be availed from us at market-leading rates. Established in the year 2009, we “Aadesh Engineering” are engaged in manufacturing and Supplying a quality assured range of Moulding Machine, Pulverizer Machine, Rotational Mould, Horizontal Mould, Ladder And Slide Mould, Industrial Mould, Water Tank, Cooling Fan and Milk Can Mould. The vast assortment includes Rotational Moulding Machine, Biaxial Roto-Moulding Machine and Three Arm Biaxial Rotational Machine. Along with this, we also meet the demands of our clients in terms of Pulverizer Single Mill, M.S. Pulverizer Machine and S.S. Pulverizer Machine. Some other products in our range encompass C.V.T. Tank Blow Mould, C.V.T. Tank Mould, Water Tank Mould, Roto-Moulded Flower Pot and many more. We design these industrial machines in compliance with the industry standards and using high grade material in the construction process. All these are checked stringently before being delivered to the clients. Industrial machines that we offer to clients are known for robust construction, high performance, low maintenance, longer functional life and user-friendly features.